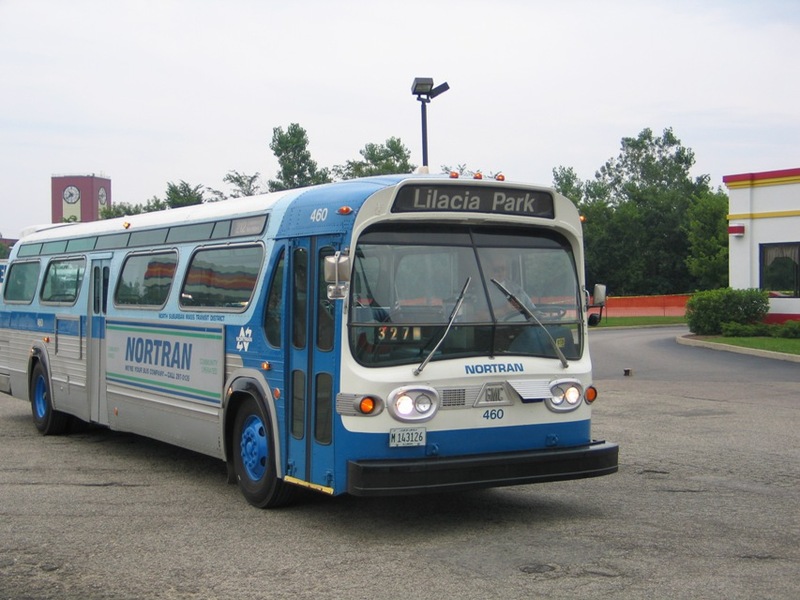 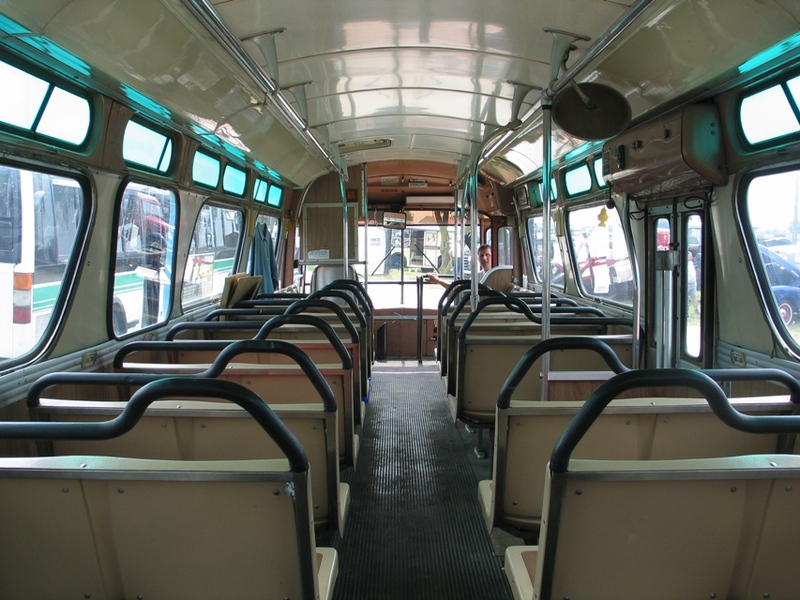 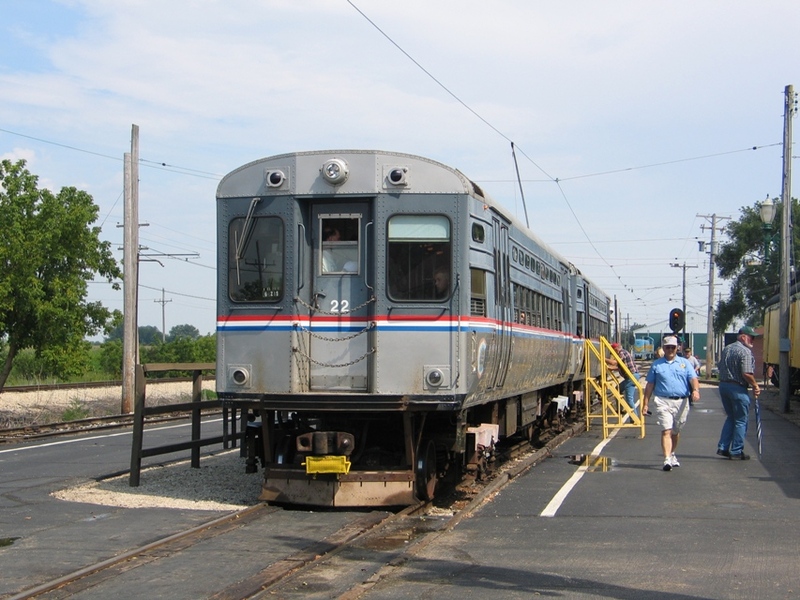 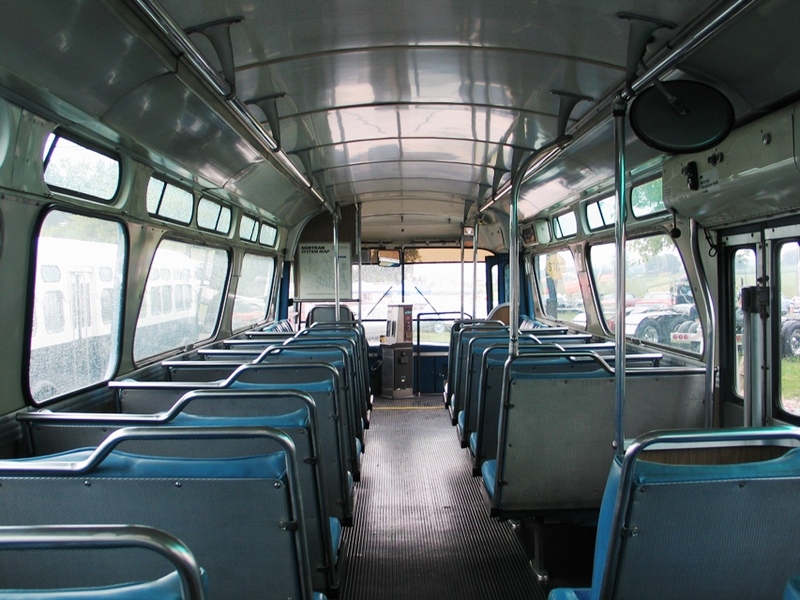 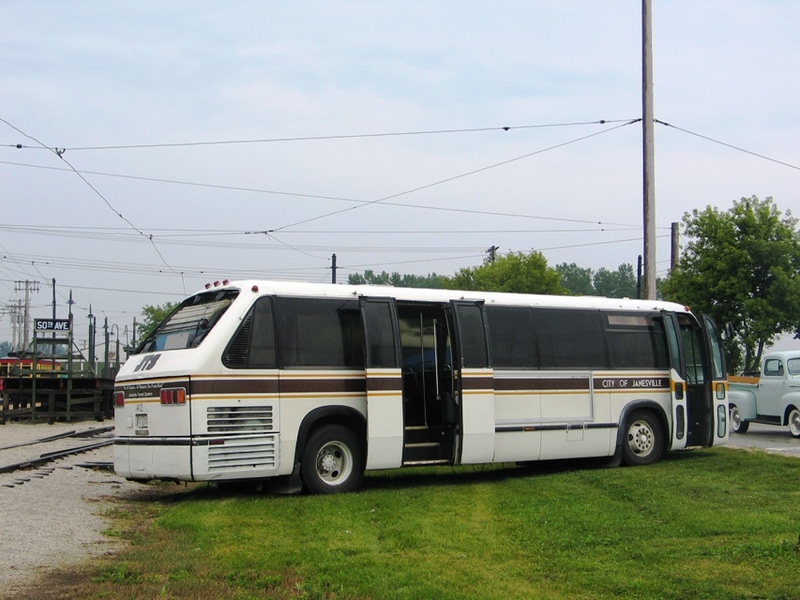 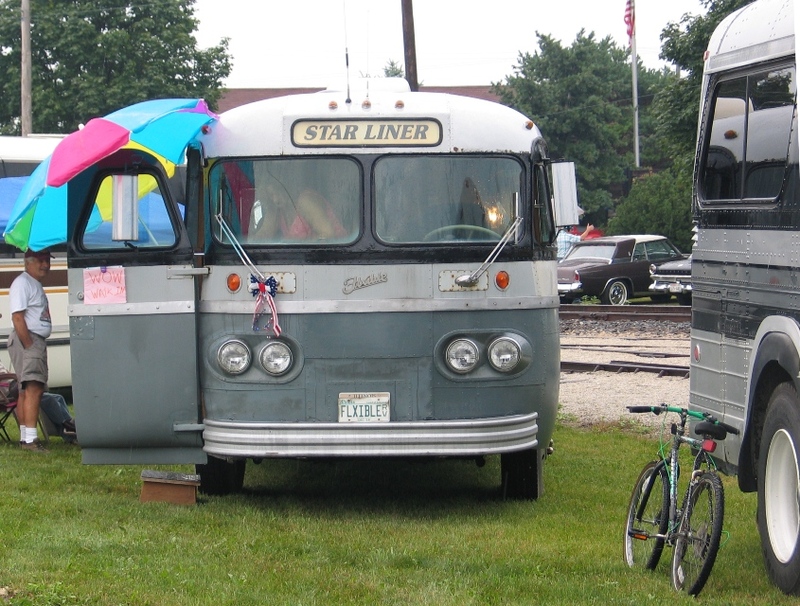 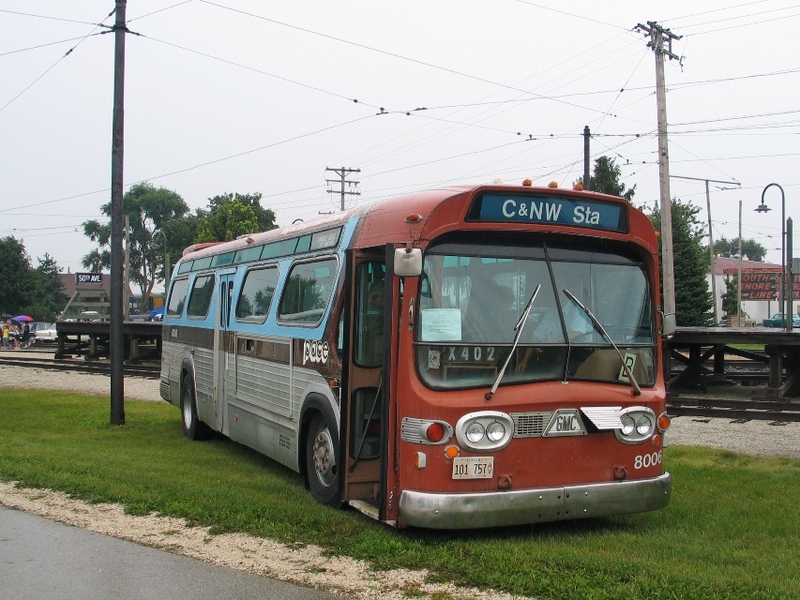 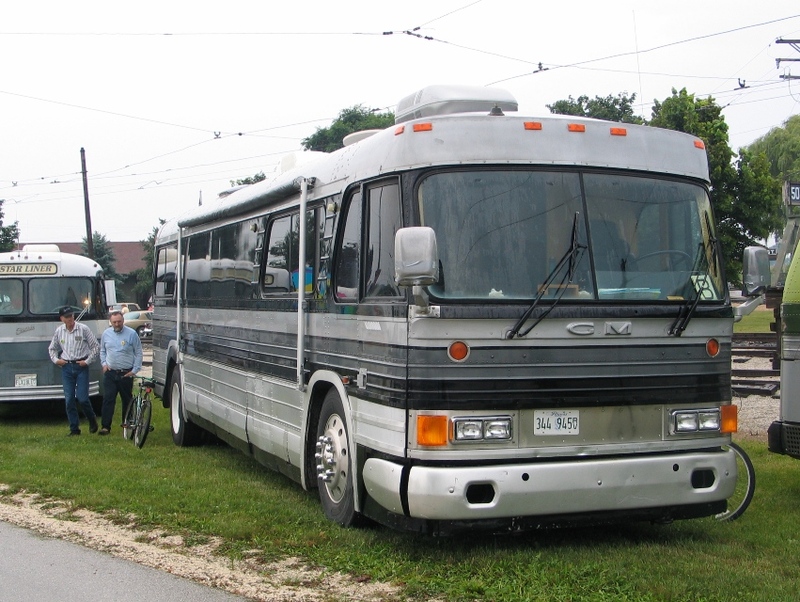 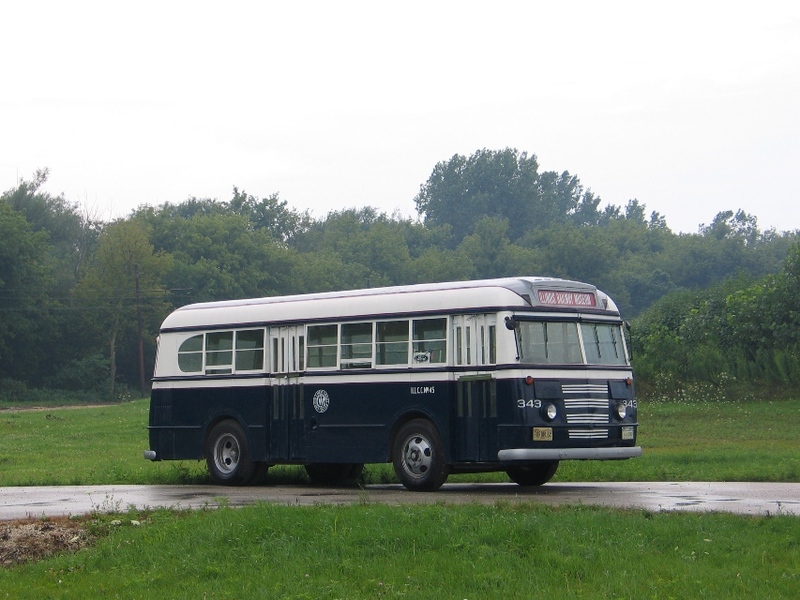 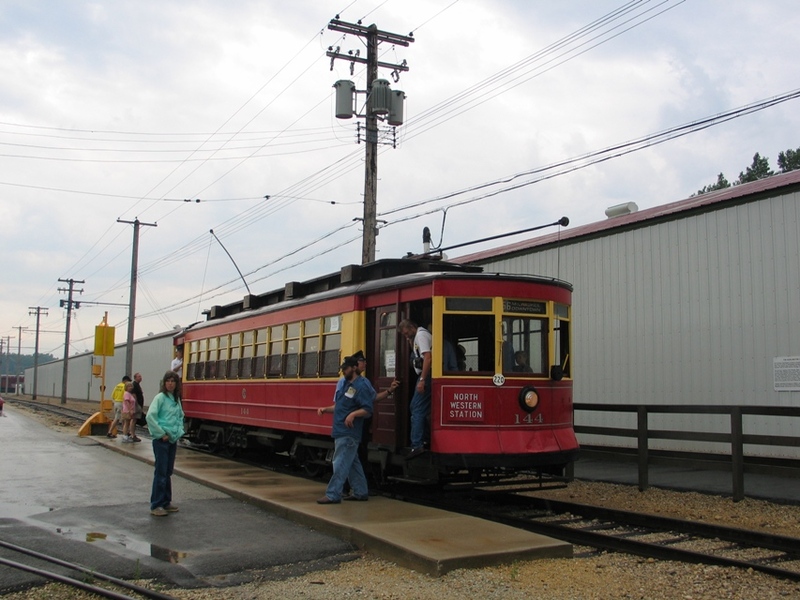 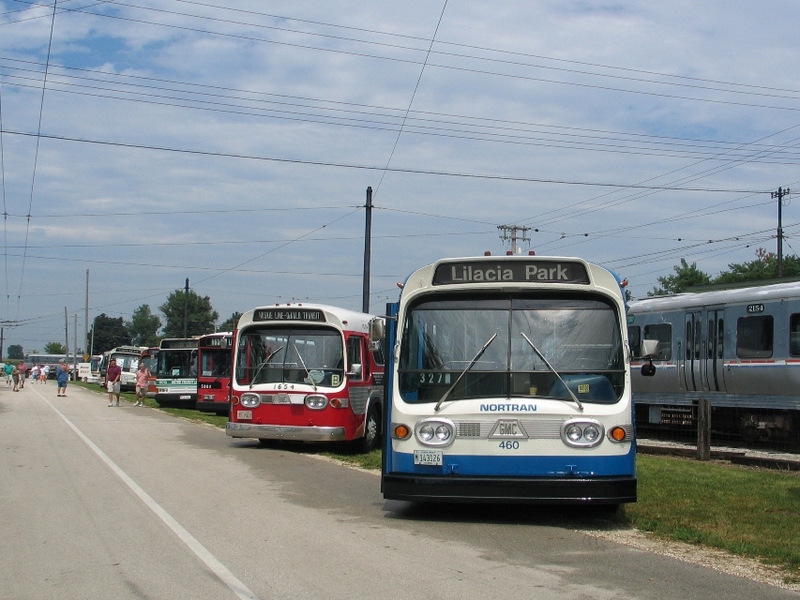 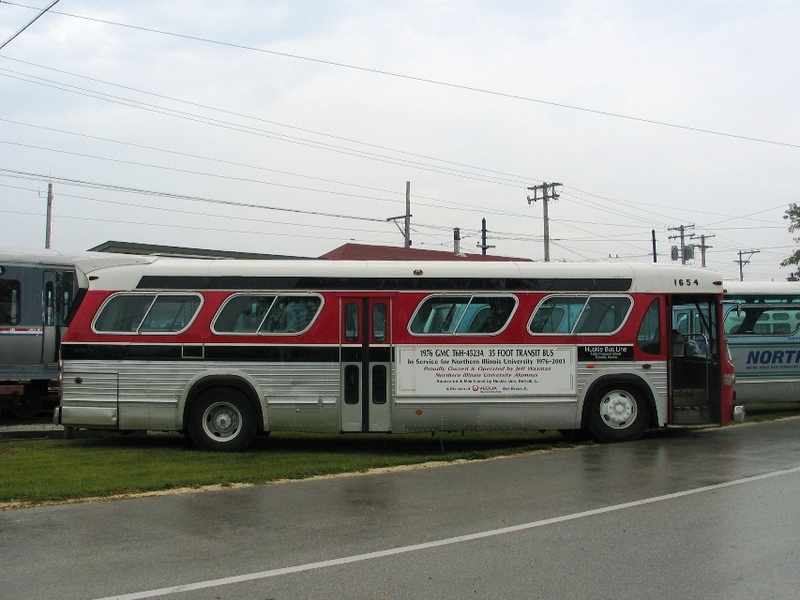 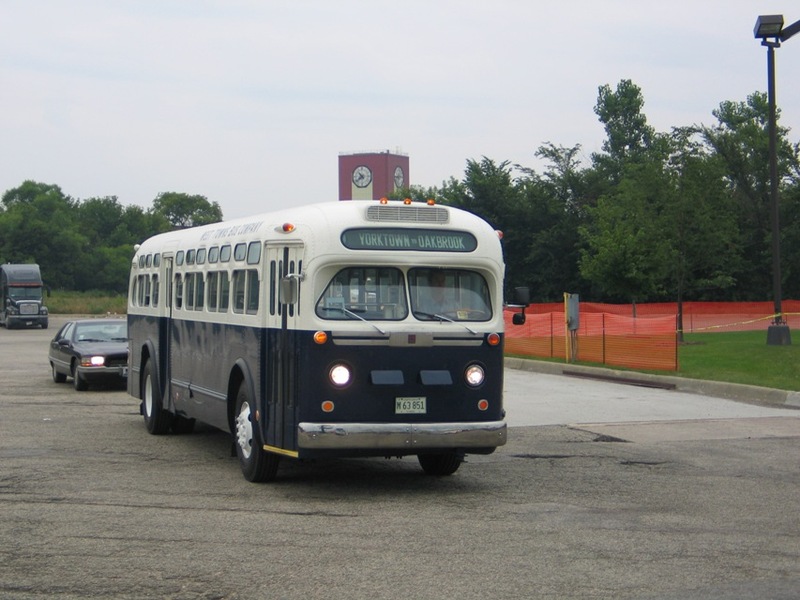 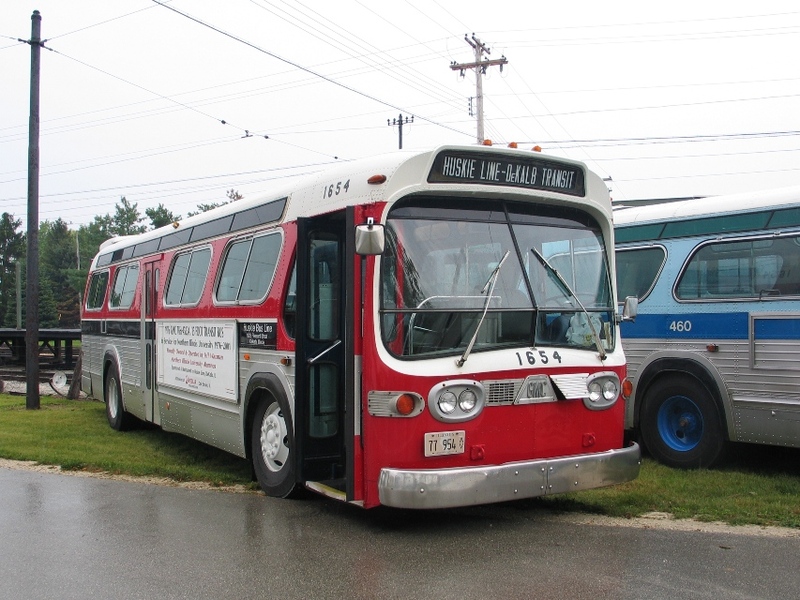 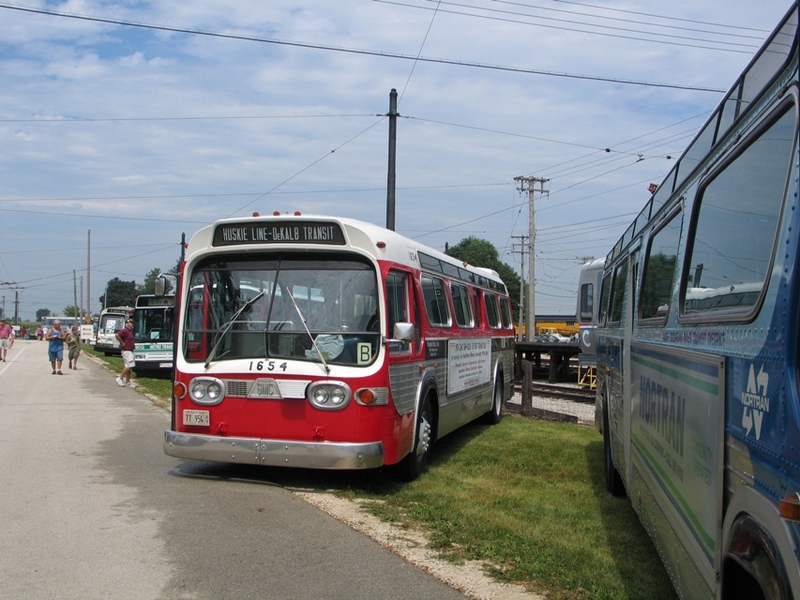 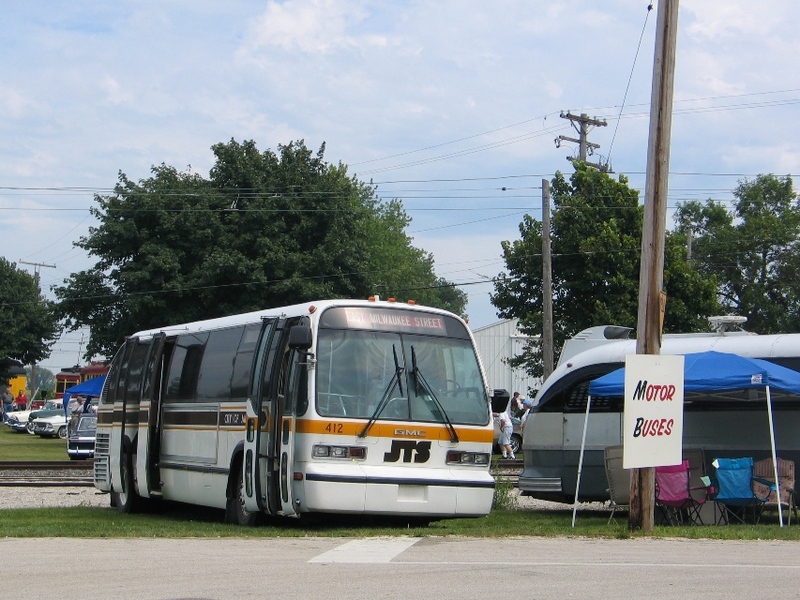 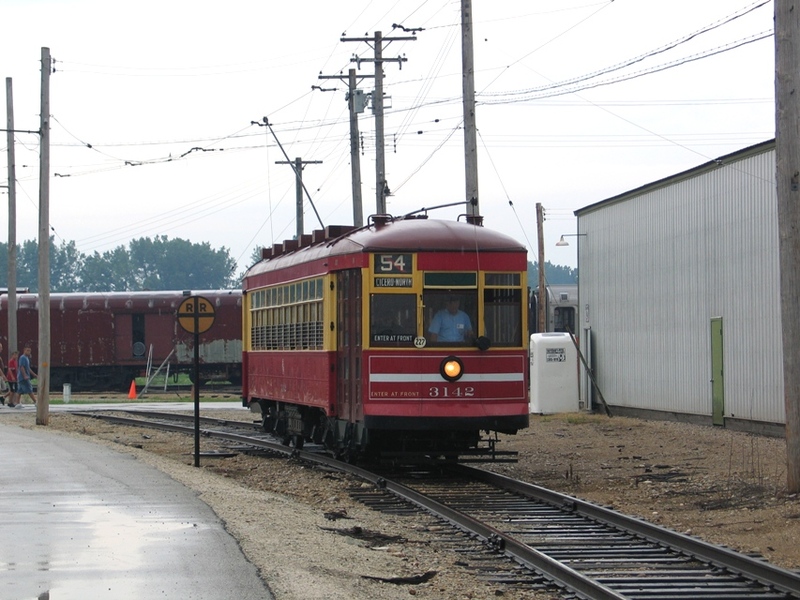 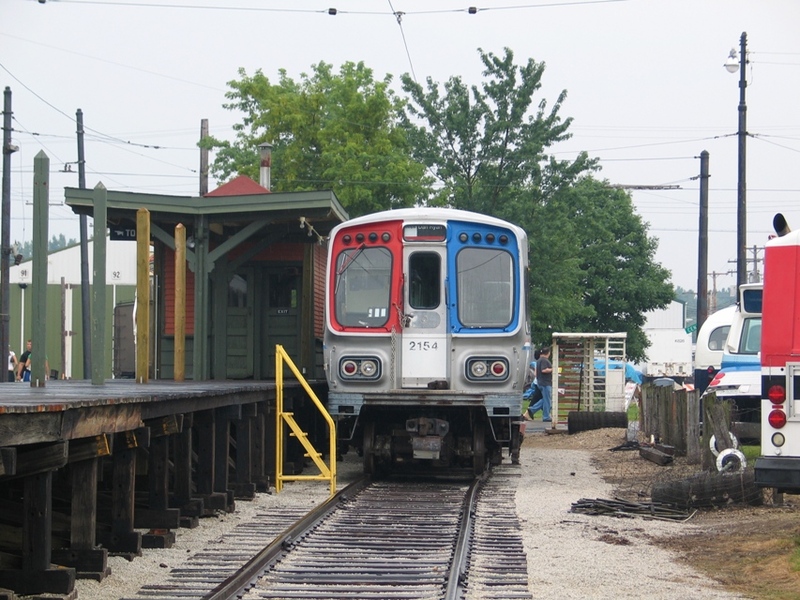 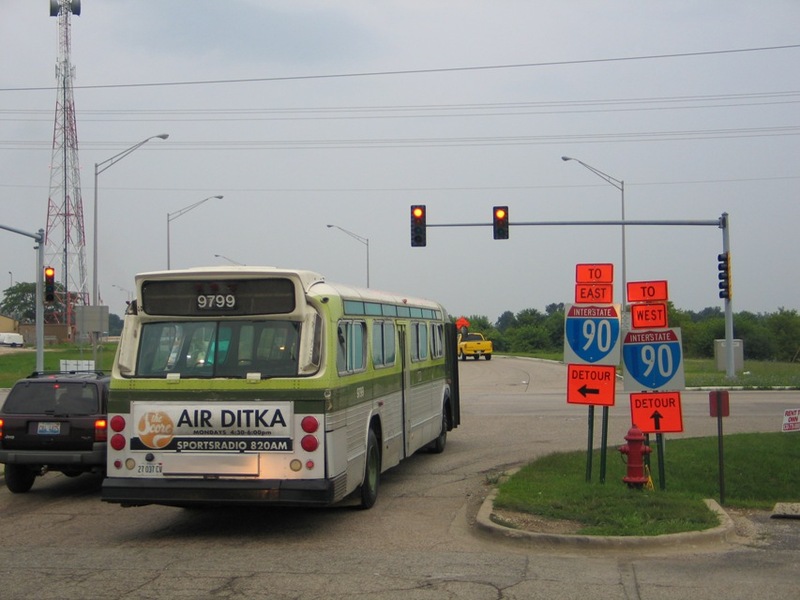 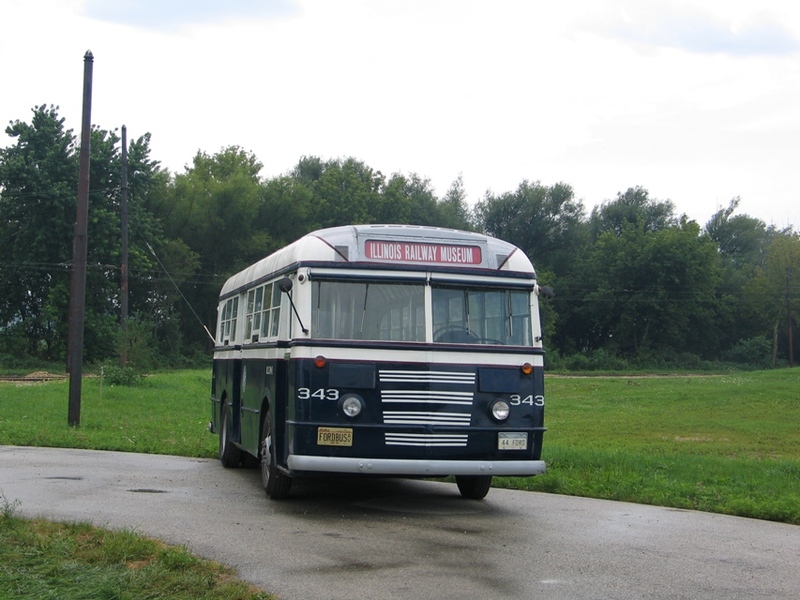 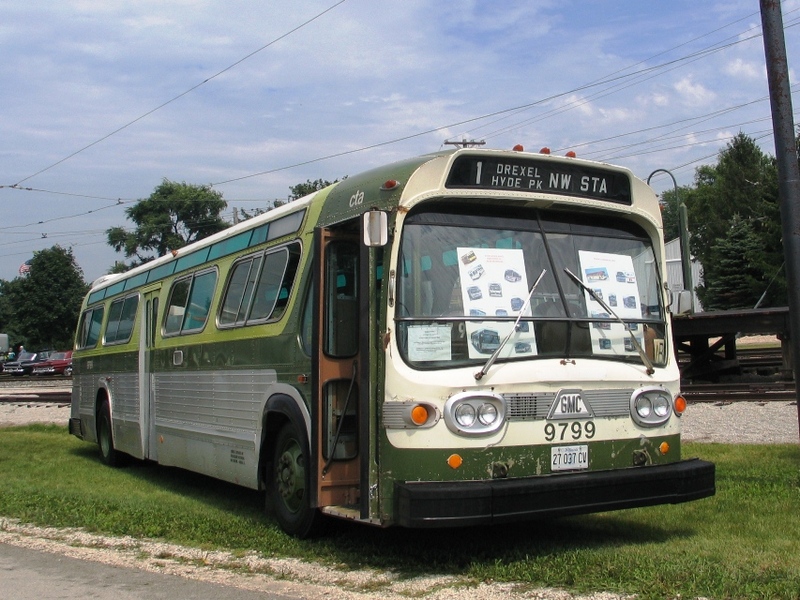 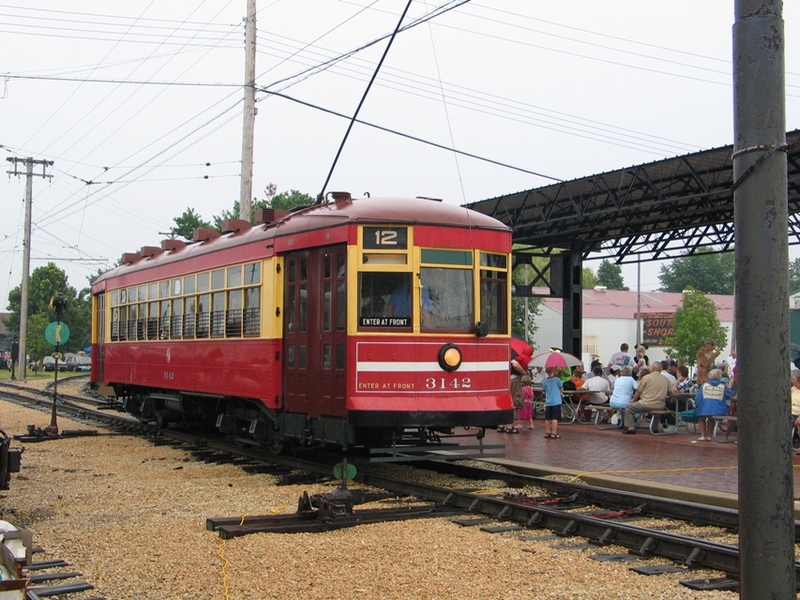 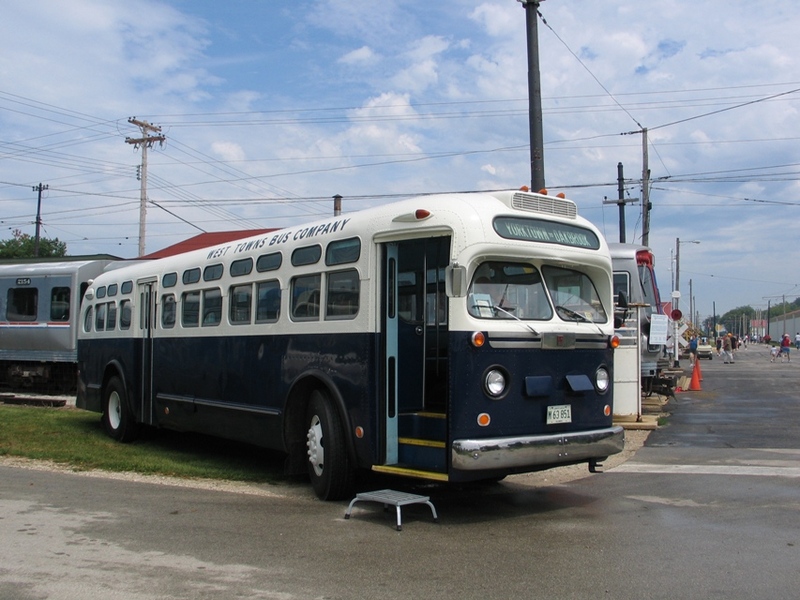 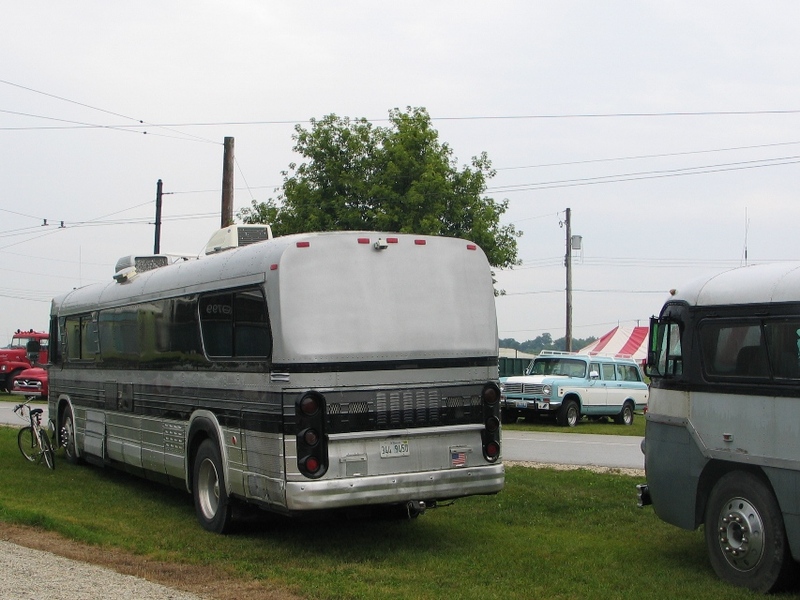 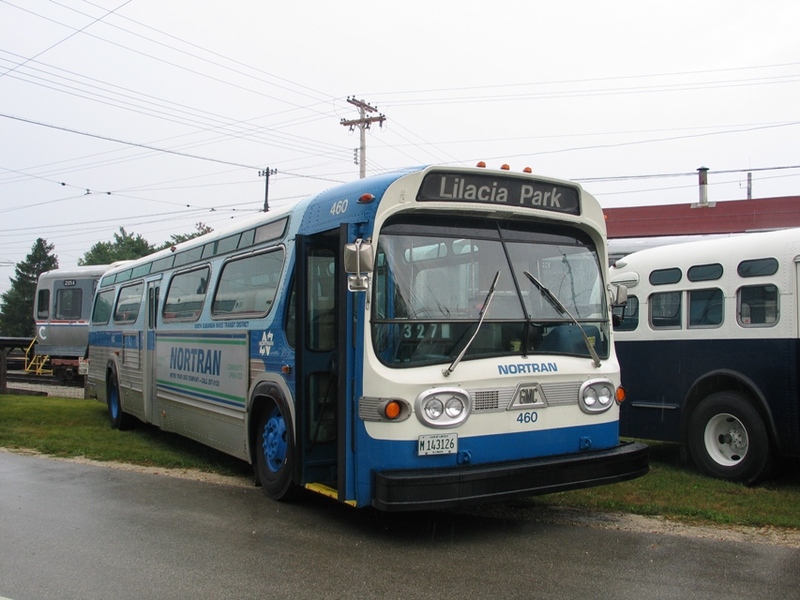 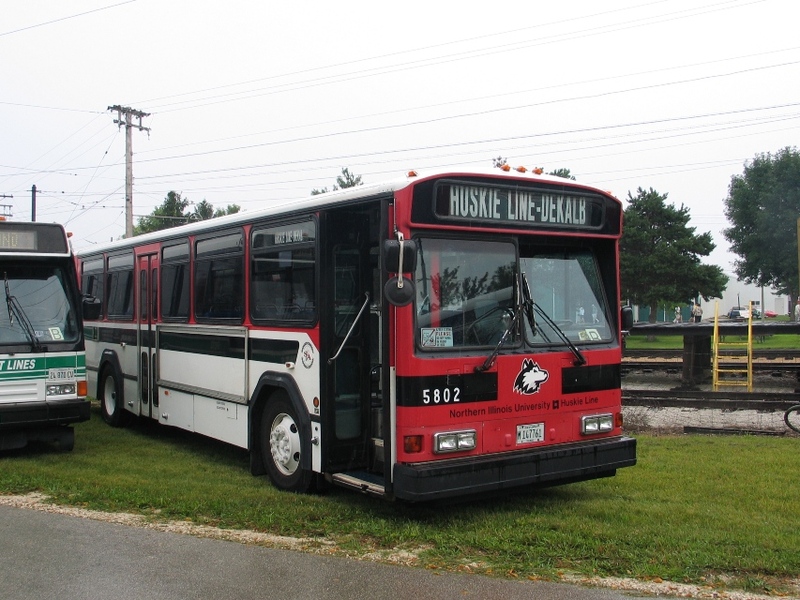 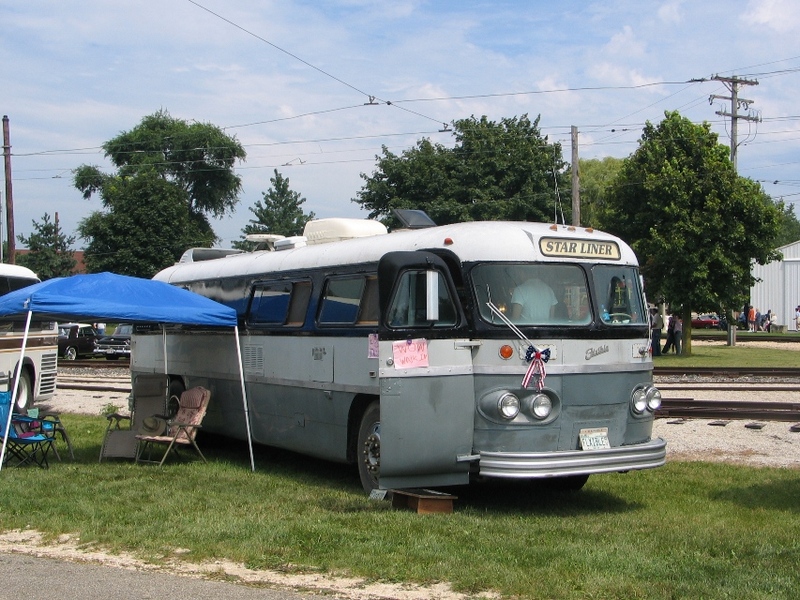 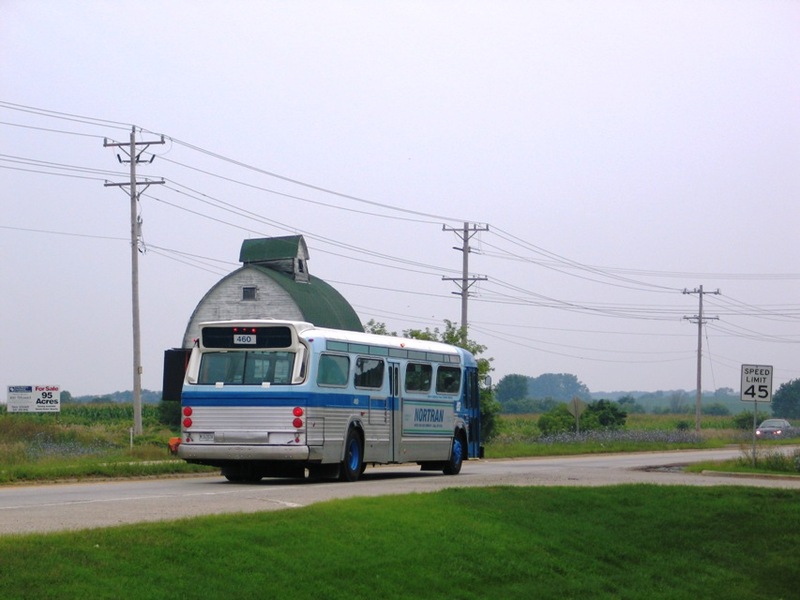 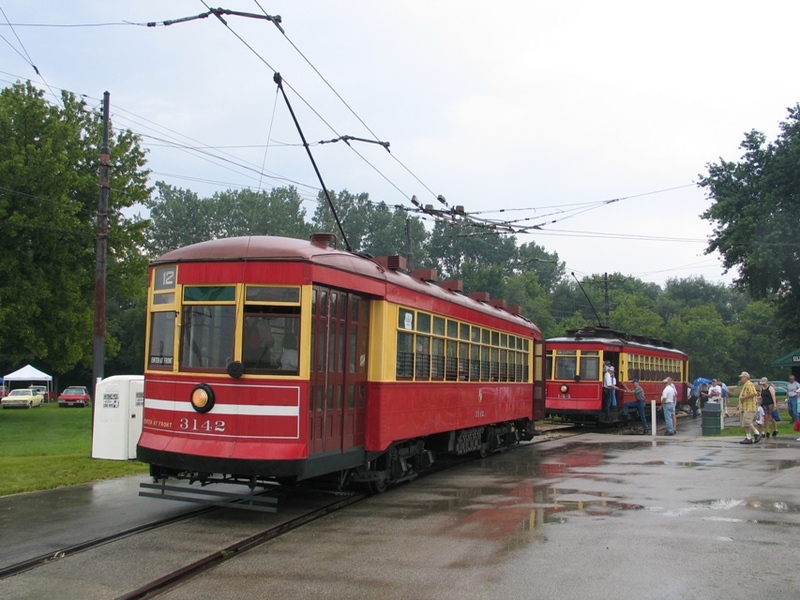 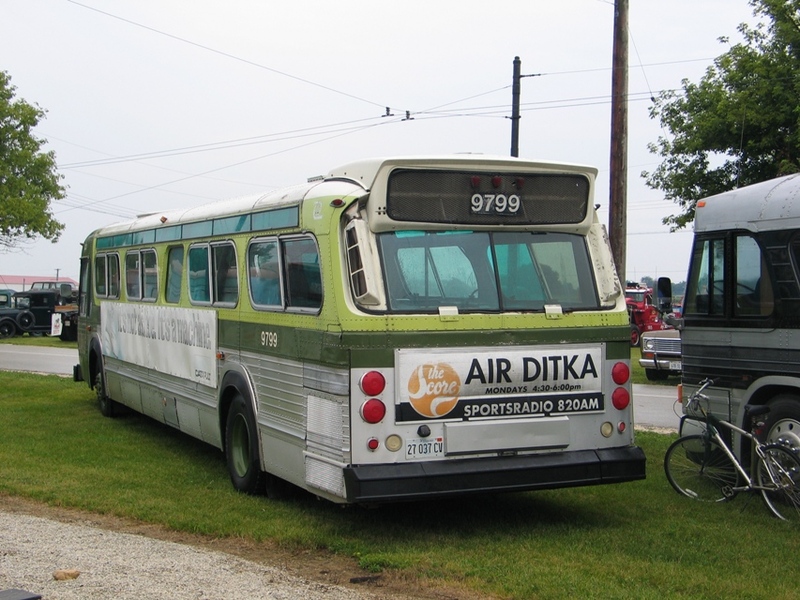 Each year, the Illinois Railway Museum hosts a display of vintage and specialty automobiles, trucks, and buses throughout its grounds. 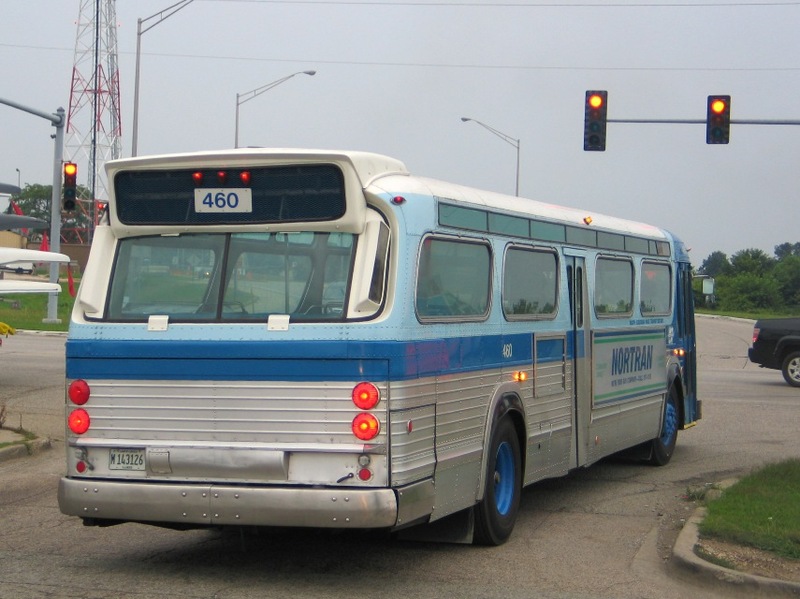 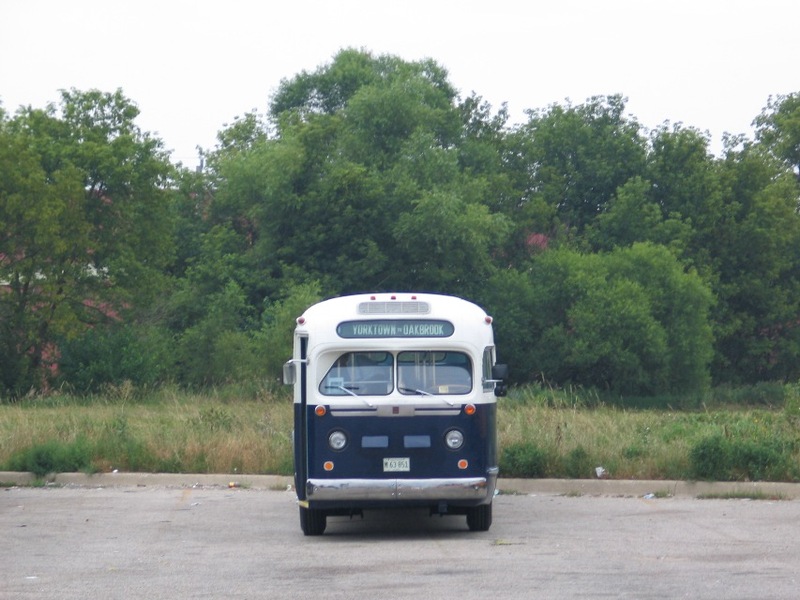 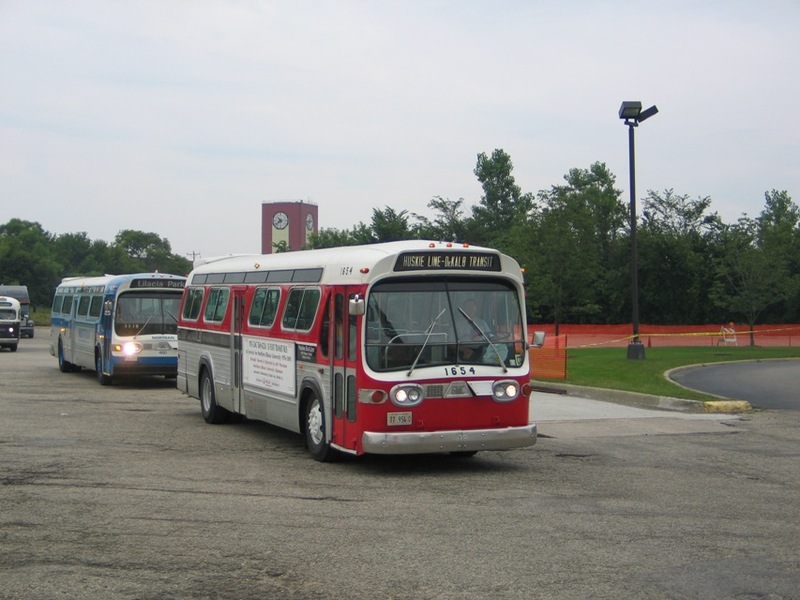 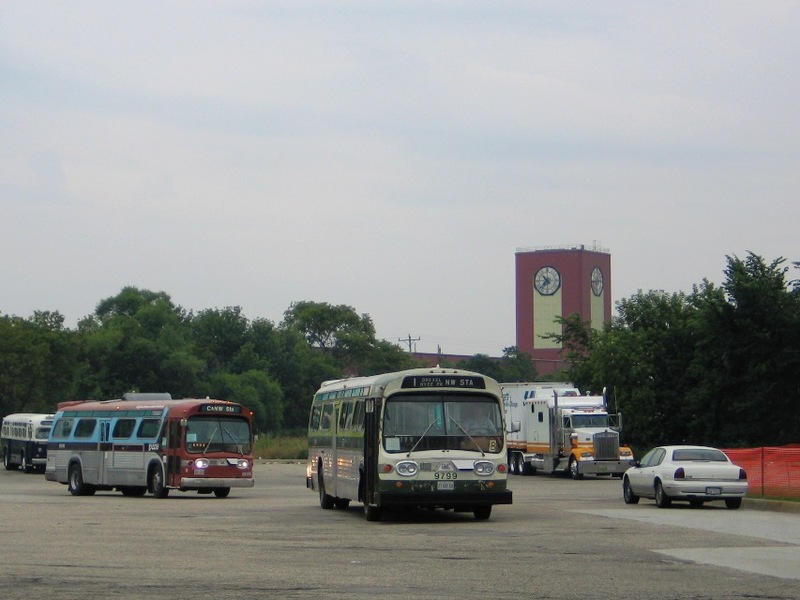 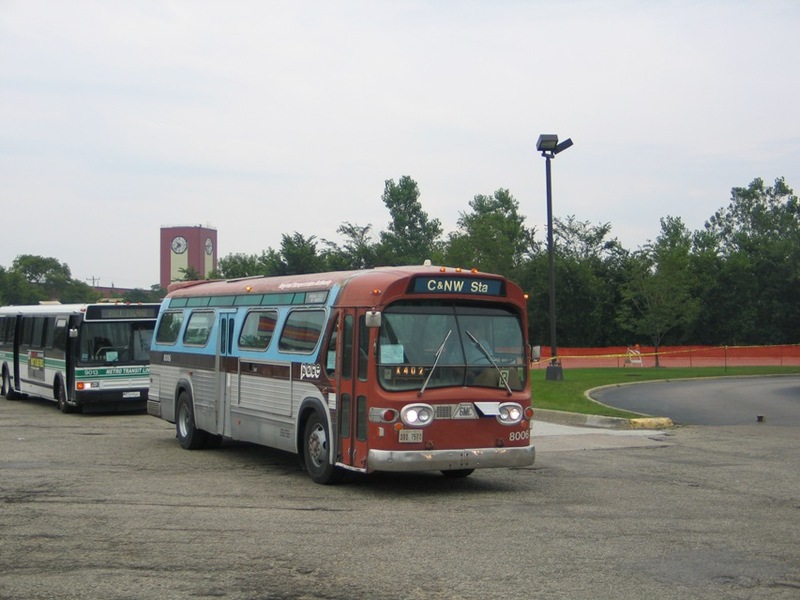 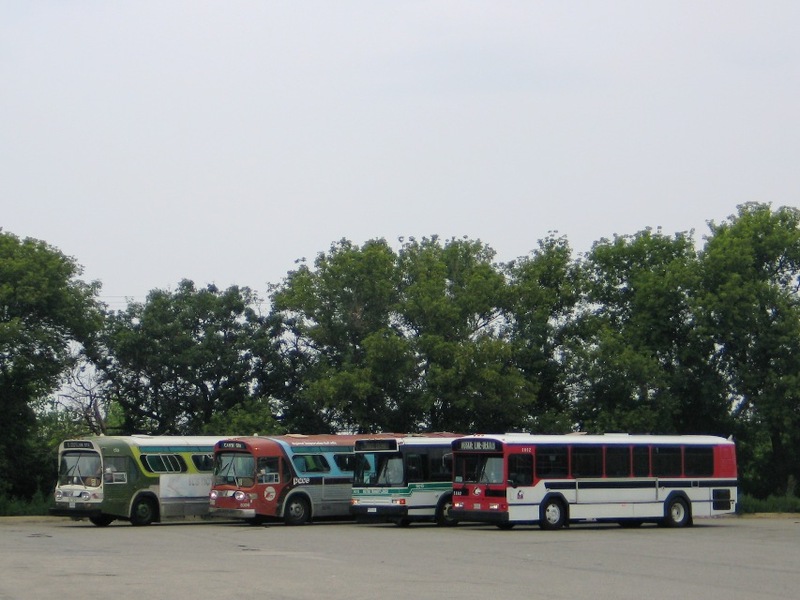 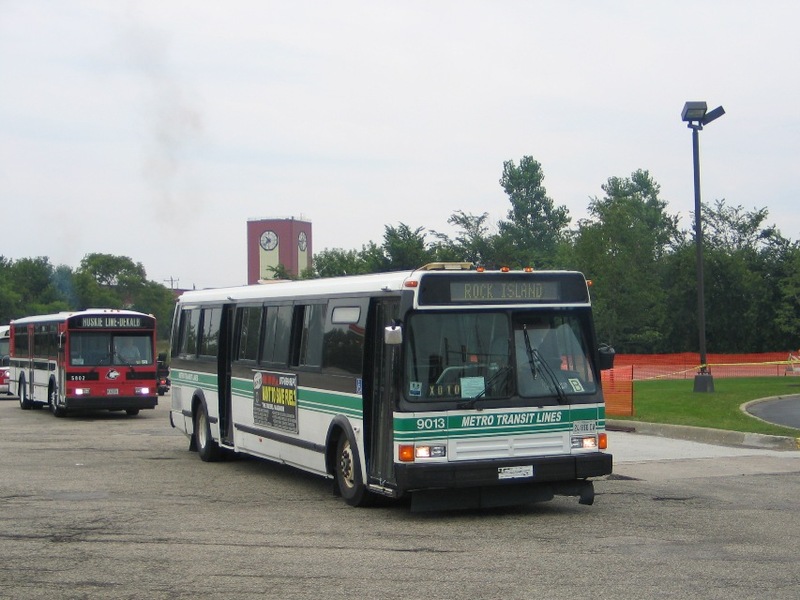 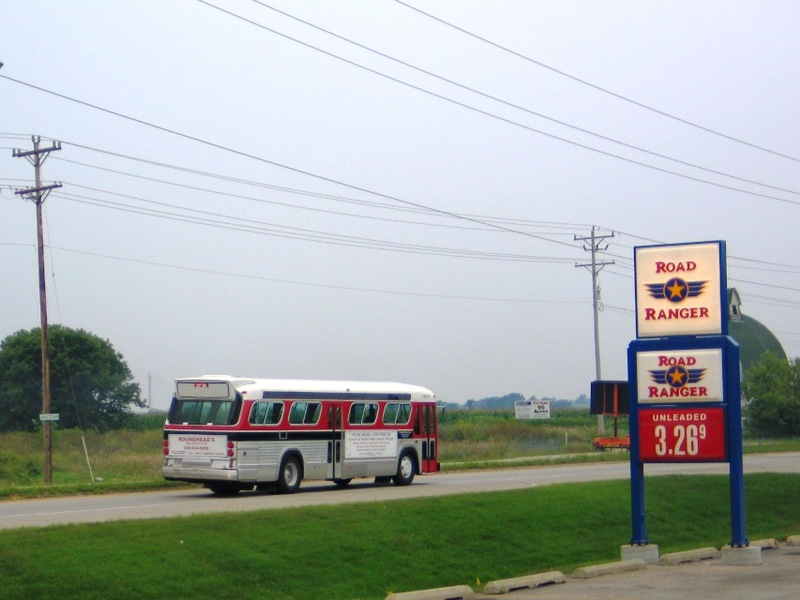 Buses from the Chicagoland Historical Bus Museum and other privately-owned coaches assembled at the Road Ranger truck stop in Hampshire en route to the Museum. 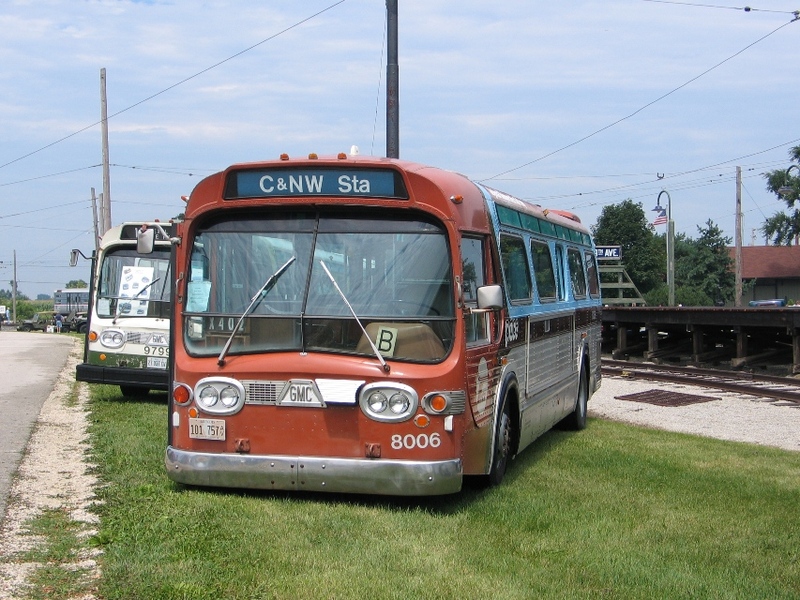 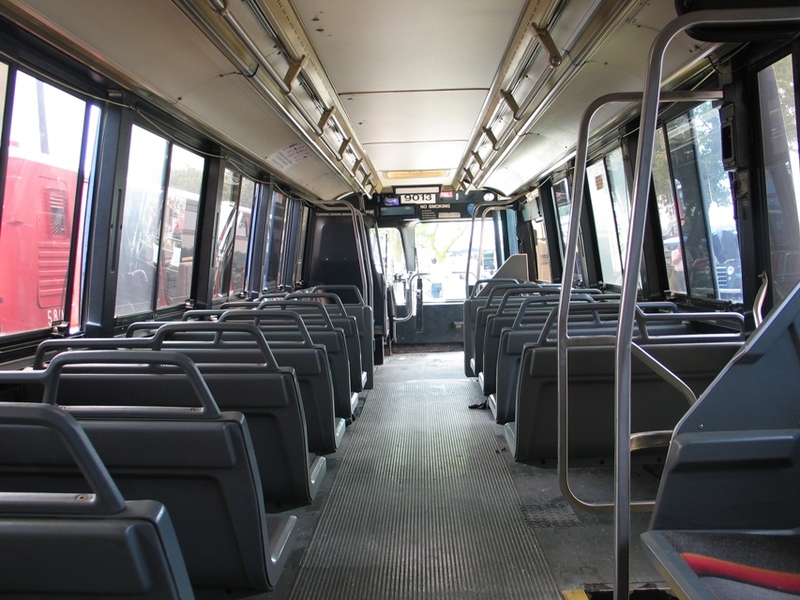 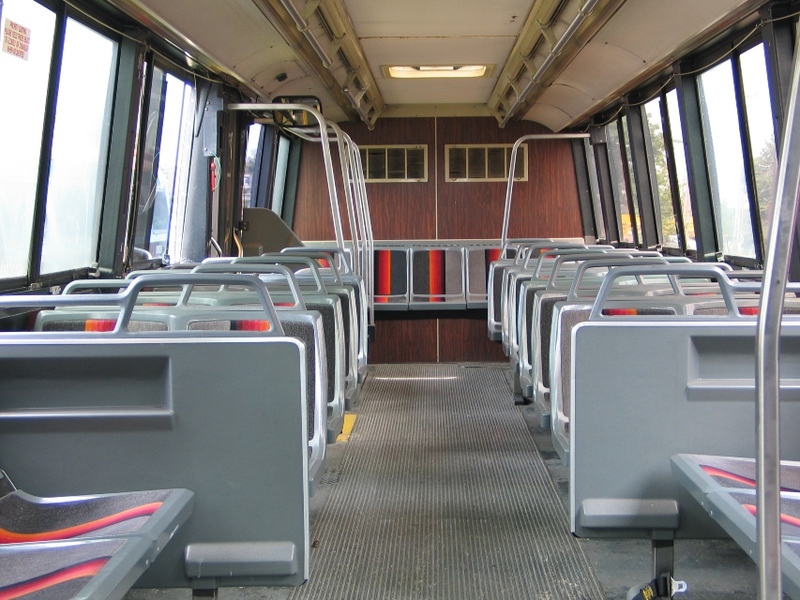 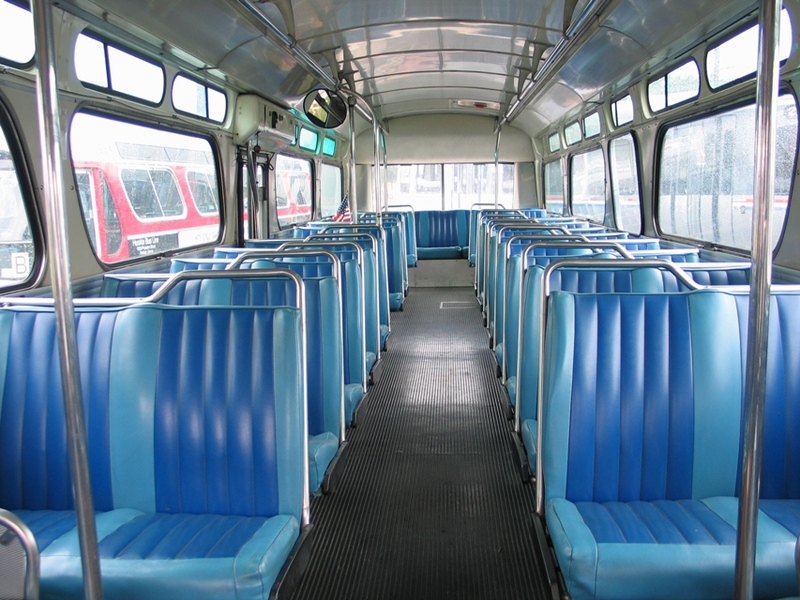 Coaches in attendence included West Towns 776 (ex-San Diego Transit System 967, 1950 GMC TDH4509), CTA 9799 (1976 GMC T6H5307A), Pace 8006 (1976 GMC T6H4523A), Metrolink 9013 (ex-St. Louis Metro 9004, 1990 Flxible 40102-6T), Northern Illinois University 5802 (1993 Gillig Phantom) and 1654 (ex-Texas Motor Coaches 1654, 1976 GMC T6H4523A), and Nortran 460 (1975 GMC T8H5307A). 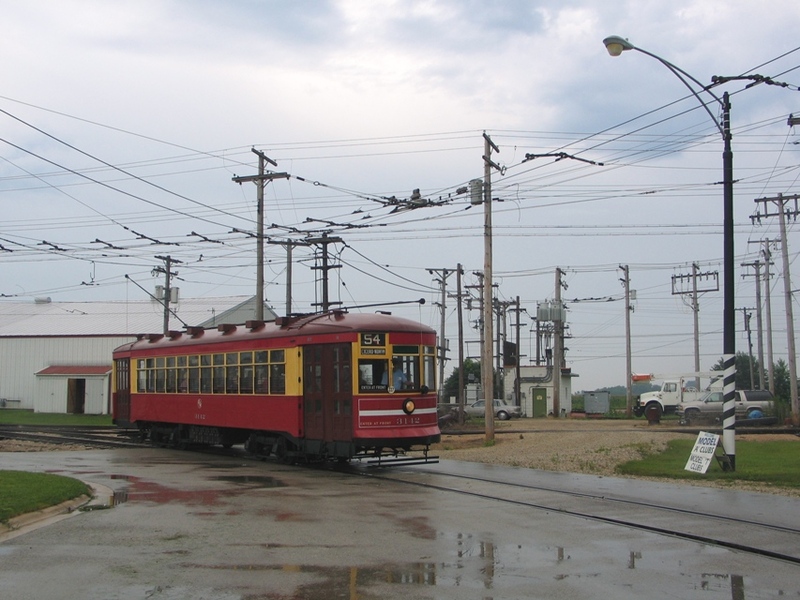 Chicago Surface Lines streetcars 144 (Pullman, 1908) & 3142 (Brill, 1923) shuttled passengers around the grounds, while CTA 'L' cars 22 & 41 were among the rapid transit, interurban, and diesel trains on the mainline throughout the day. 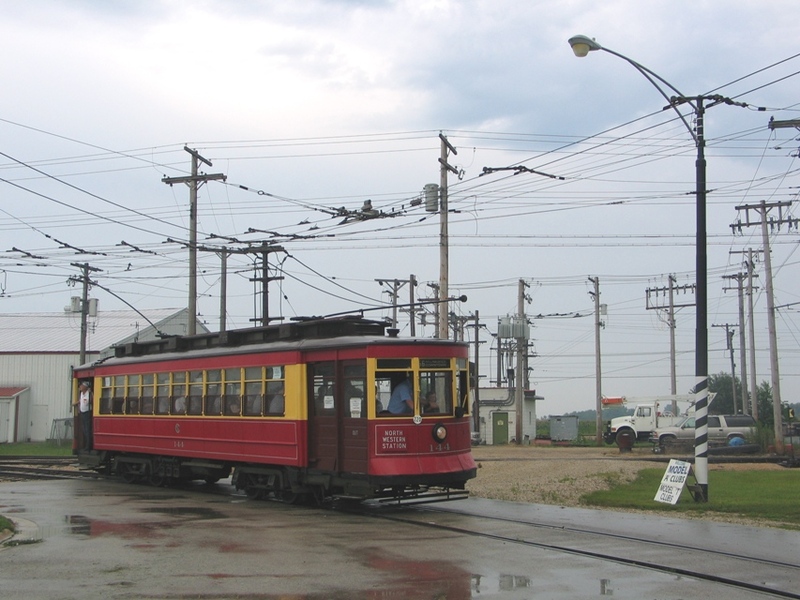 'L' cars 2153-4 are on display at the 50th Avenue station platform. 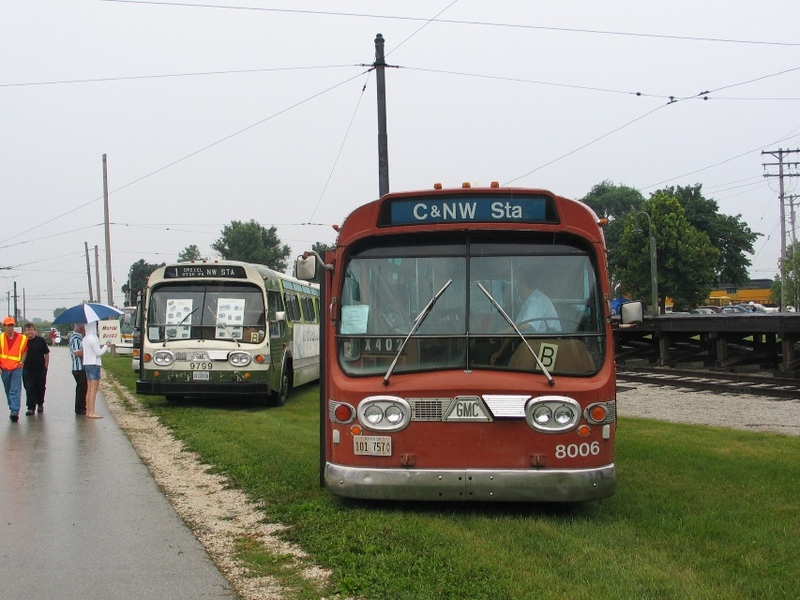 Buses were on display next to the 50th Avenue platform. 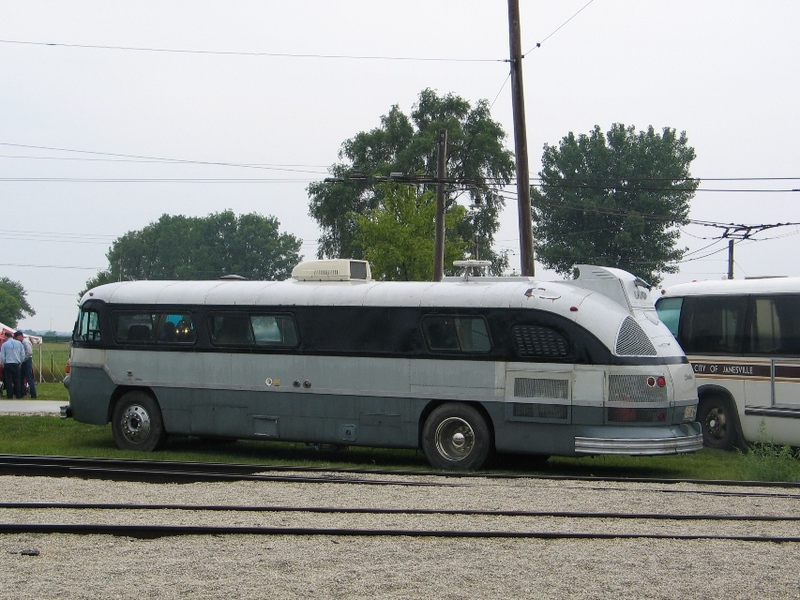 In addition to the coaches listed above were vintage Flxible and GMC Motor Homes and IRM's own Janesville 412 (1979 GMC RTS T7W603). 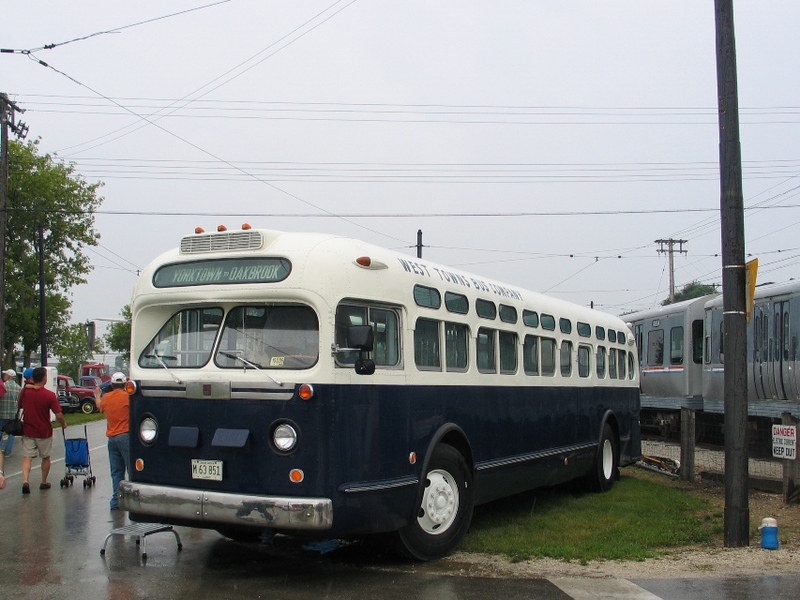 Montebello Municipal Lines 17 (1944 Ford 99T), painted to resemble Chicago & West Towns 343, was on display behind the Museum's bus garage. 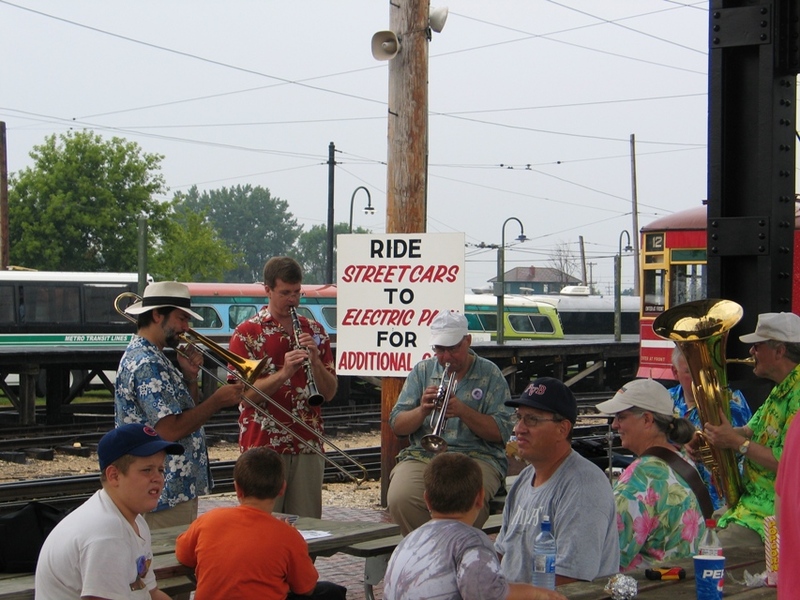 The West End Jazz Band provided entertainment throughout the day, both on the ground and on the rails.